As oral arguments before the U.S. Supreme Court in Janus v. AFSCME Council 31 grow nearer, CSEA continues to work to build our union through one-on-one conversations with all of our members. Our job will become much more difficult if the plaintiffs prevail in this case, which examines the constitutionality of the 1977 decision Abood v. Detroit Board of Education. Abood, like Janus, examined whether public employees should be required to pay an agency or “fair share” fee to help cover the costs of negotiating contracts, handling grievances and defending workers facing disciplinary action. Specifically, a group of Detroit public school teachers sought to overturn a requirement that they pay an agency or “fair share” fee due to their opposition to unions and our political activities. The court unanimously sided with the union, affirming that all public sector employees who choose not to join the union must pay a “fair share” fee to cover the costs of union representation. To address the objectors’ concerns about unions, the court also maintained that the fees cannot be used for any purposes other than representing workers. The precedent set by Abood has been at the core of how CSEA and other public employee unions have operated for 40 years, and this has allowed employers and employees the freedom to determine labor policies that best serve the public. Now, that precedent hangs in the balance. Today, we are facing a political and economic climate in which corporate interests and other wealthy people have rigged the rules to increasingly control our country’s wealth, making it tougher for working people to realize our own freedom to negotiate a fair return on our work. In recent years, we have faced numerous attempts by the wealthy to chip away at these freedoms. 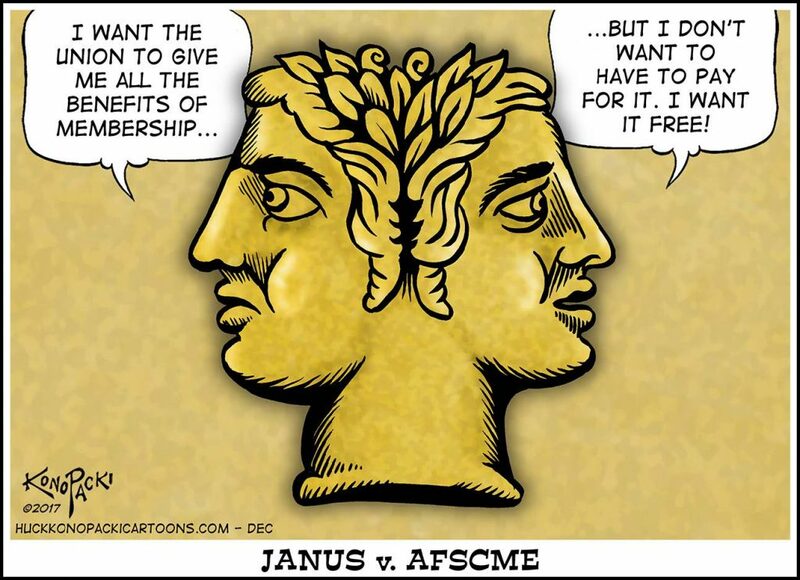 The Janus case originated from an Illinois state employee who objected to paying a “fair share” fee because of his objection to unions, but this case is truly backed by well-funded sources who want to block our freedom to join together in union and negotiate a fair return on our work. Because the U.S. Supreme Court has a 5-4 conservative majority, many experts believe the court will likely overturn Abood and declare fair share fees unconstitutional in the public sector. That not only means that it will be “right to work” for the public sector across the United States, but workers in the bargaining unit who are not union members must still be covered by the collective bargaining agreement. We expect a decision in late spring. Even if the court changes its own precedent, we will continue to work hard to have conversations about what it means to stand together and build a stronger union.